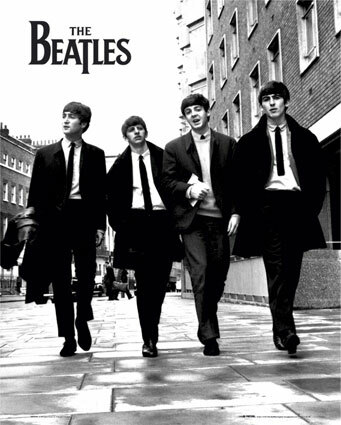 They felt the pain and brought joy to the world, the Beatles, the ultimate band. Take a sad song and make it better. True wisdom. Foolishness would be to say take a sad song and make it a happy song. Life contains sadness, we have to accept it, that is a given. So we take our sad song and we work with it. Perhaps someday a happier song will emerge. The day goes on, the barber shaves another customer. We cannot eliminate pain from this world. Face it, it is a very cruel world, on so many levels. That is a given. We have to work to take a sad song and make it a little better, if not for us then for others. When we feel the pain it is a reminder. It is a reminder to appreciate what we have for we shall not have it forever. What we have today will not be here tomorrow. Some might call this a depressing thought. I call it appreciating life. I am no longer so young and I have had to say goodbye to many friends and relatives. When I feel the pain of their absence it makes me realize I must take advantage of the time I have to enjoy the company of others. Here today gone tomorrow. An old friend is now burying her father. I remember him as a young vibrant man, I remember him playing baseball. I remember his wife, a true angel. And now they are gone. When we feel the pain we begin to make it a little bit better. The pain is a door to understand and to healing. The pain will always be with us, it is a given, it is a God given fact of life. Pain and Joy are inseparable aspects of life, this cannot be denied. Both are awakenings to the truth. Take a sad song and make it better, so wrote Sir Paul to Julian when his parents divorced. And for ever the fab four are singing this song even though half the group has passed on. But the song remains. The spirit remains. The message remains. We cannot eliminate pain. But pain and joy are one. We feel pain when we remember those who passed on but we feel joy for having known them and we remember that we must appreciate those who are with us now for all are but a limited gift. Don't be afraid to face the pain, and the joy.